This past Sunday was special as we worshipped together in our original sanctuary. We will be back in our worship center this Sunday as I continue our Defining Our Future series looking at our second core value, Intentional Worship. Now is a great time to consider connecting with others at Christ Community. Here are a few upcoming opportunities. Men’s Fraternity. One of the strongest areas of Christ Community Church is our commitment to reach, develop, equip and deploy leaders for life and mission. Men’s Fraternity is one of the strongest ways we do this. This ministry is an opportunity for men to grow together in their faith, become equipped to fight for family, values, and their spiritual well-being. Men’s Frat will begin on Monday, September 11th at 7 pm at Christ Community Church. I encourage you to join the team as these men learn together God’s battle plan for their life. You can sign up for Men’s Fraternity at ccchuntersville.com. Women’s Bible Studies. Next week begins our Women Bible Studies. We desire to provide opportunities for women of all ages and life stages to gather together to study God’s Word. One of the constant outcomes of a weekly bible study is the constant encouragement that comes from fellowship and conversation around life’s struggles. We are offering two studies, Seamless and James. Check the dates and times above and register at ccchuntersville.com. Beth Moore Simulcast. 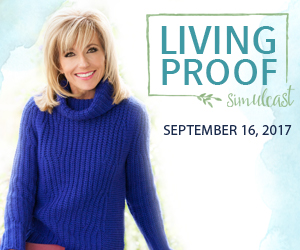 This Saturday is the 2017 Living Proof Simulcast with Beth Moore. The theme is “Captivated: The Wonder of Christ on the Winding Road.”Join with women from CCC for a day of refreshing and fellowship. We hope you will join us as we come for fellowship and spiritual growth. To purchase tickets, visitccchuntersville.com. Family Meeting. 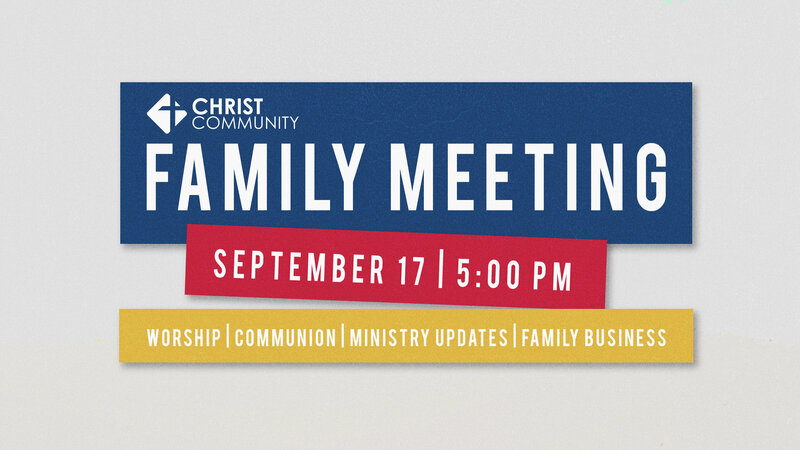 Our annual membership meeting will be held on Sunday, September 17 at 5:00 p.m. We will gather together to worship, take communion, hear ministry updates, financial updates, and vote on a few items. This meeting is for all members to participate in, but we invite any regular attenders who desire to listen in. The Lord has been so faithful and I can’t wait to share with you what he’s up to. Finally, thanks for your faithfulness to the ministries of Christ Community Church. God is doing a special work among us. Let’s walk together faithfully making gospel-centered disciples among all people for the glory of God. As always, I’m grateful to be your pastor.